Halloween is in the air, and though we’ve just gotten around to decorating our house, we never do a lot of scary Halloween over here. 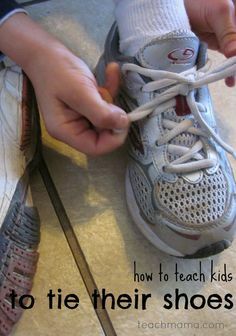 We always stick to the silly or tricky. 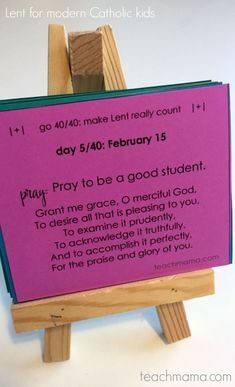 But, like any holiday, I truly believe that there are opportunities for sneaking in a little bit o’ learning during this candy-filled holiday. A whole lot of fun—don’t get me wrong—but also a whole lot of fun learning as well. 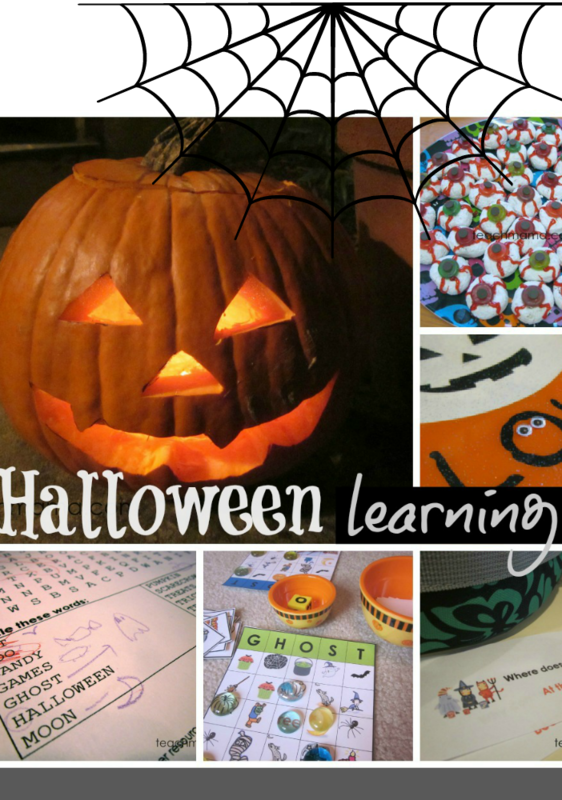 Here’s the skinny on a few Halloween learning ideas—both silly and scary–literacy, math, and science learning for kids at a time when the world is black and gold, black and gold, nothing in between. . . when the world is black and gold, then it’s Halloween! Really, it’s scary how much fun you can have with your kids around holiday time. We like to start with Halloween. 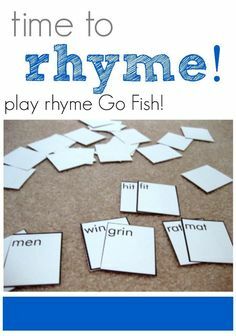 Halloween GHOST Bingo: Cute—not spooky—Halloween friends cover the boards and kids can practice learning the letters of “GHOST” while they use their eyes to match up the Halloween friends on cards to the ones on their boards. Halloween Word Search: Perfect for emerging readers, word searches provide a super platform for really looking for letters. 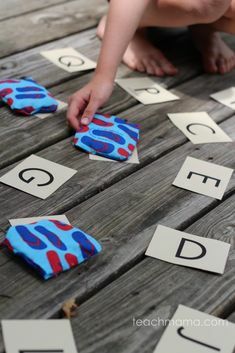 Add some Halloween words, and kids love playing detective! Halloween Lunchbox Love Joke Notes: Bring some fun into lunchtime–or anytime–with fun, silly, and totally not-spooky Halloween Lunchbox Joke Notes. Room on the Broom, by Julia Donaldson — the witch’s hat blows away, and while trying to find it, the witch picks up more and more friends, all who want to ride on her broom. We love the language in this book, and it’s super-silly. 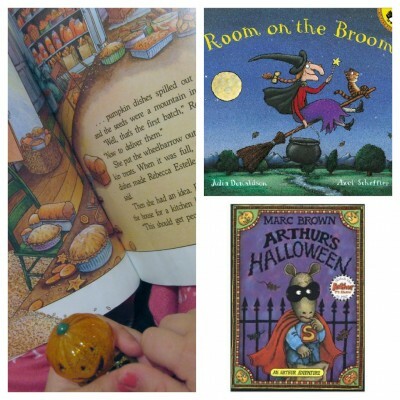 Arthur’s Halloween, by Marc Brown — as a mom I love the lesson in this book, no never judge a book by its cover, but with a fun Halloween theme, Arthur and D.W. don’t let us down! Zen Ghosts, by Jon J. Muth — the children in this story learn from their panda friend Stillwater on Halloween–and who doesn’t need a little zen on a spooky holiday? Berenstain Bears Ghost Walk & Berenstain Bears Trick-or-Treat& Berenstain Bears & the Prize Pumpkin — All of our Berenstain bear friends during Halloween and fall, these three have been a permanent part of our at-home library for years and years. Our fave? Hard to choose. 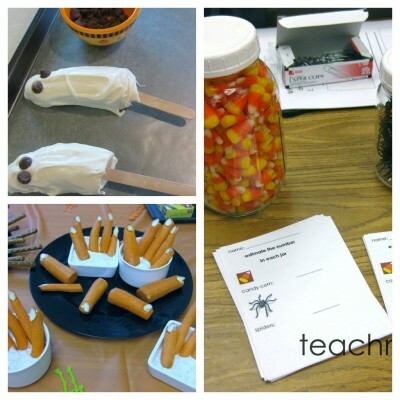 . .
halloween party estimate game 2013: a perfect quick game to help kids practice number sense and estimating, it’s as easy as can be to get kids psyched about counting and numbers when candy corn or spiders are involved! Halloween Candy Math Games: Sorting, counting, and more—who knew Halloween candy could provide so much learning fun?! 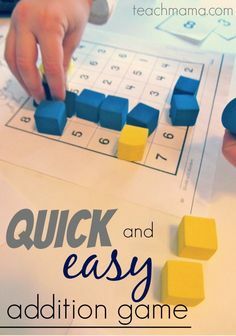 Leafy Grid Games: same kind of literacy and math prep but with Leafy Grid boards. Blank Grid Games: use Halloween stickers or stamps as markers to continue the spooky fun. Candy Experiments: Use that leftover Halloween candy for some super-fun science experimenting! Halloween Treat-Making: Cooking is science for kids, so get them in the kitchen and have them help you make these super cute witches’ fingers, eyeballs, boogers on a stick, and frozen ghosts. Dinner in a Pumpkin: A perfect opportunity to show kids how crazy cool food can be, a fun Halloween tradition is dinner in a pumpkin! That’s it! 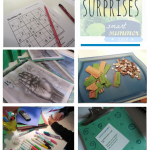 Just a few fun literacy, math, and science related Halloween learning opportunities for families and kids! And if you need some Halloween class party help, some not-so-scary Halloween tricks, or our new-and totally cool Halloween scarf. check it out, or feel free to leave links with your own fave Halloween sites. Have something awesome I should add to the ole Halloween Pinterest Board? I’d LOVE to! Leave me the link! For older children, you can have students work with M&M probabilities. I recommend using the small snack-sized bags. Before opening the bag, ask “How many of each color do you think is in the bag?” See how close they were. Find the percentage of each color represented. You can make charts and graphs with sample sizes. You can even have them email the company to see if there are, in fact, the numbers of M&Ms in each color are equal. Janet! LOVE these ideas–huge thanks and you better believe we’ll be playing with M & M’s come Halloween! Awesome!! You always have lots of great ideas. 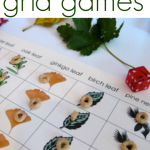 I am going to pull out our fall grid games for some after school fun. My kiddos always look for forward to candy science experiments. They love it when they get pixie-sticks in their trick-or-treat bags because they are perfect for acid testing. You always remind me that it doesn’t take much to make time for learning at home. That’s why I love your blog! Thanks for inspiring parents. Thank you soooo much my friend. Means so mucho you have no idea!